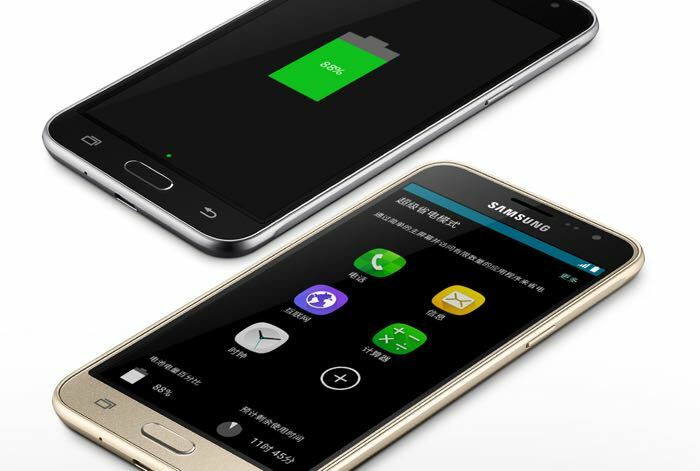 We have been hearing rumors about the Samsung Galaxy J3 for some time, the device appeared at the FCC earlier this month and now the handset has been announced by Samsung in China. The Samsung Galaxy J3 is equipped with a 5 inch Super AMOLED display with a HD resolution of 1280 x 720 pixels and it features a quad core processor with a clock speed of 1.2GHz. Other specifications on the Samsung Galaxy J3 include 1.5GB of RAM and 8GB of built in storage and the handset also comes with a microSD card slot for extra storage. The Galaxy J3 is equipped with dual cameras, on the front there is a 5 megapixel camera for video calls and Selfies and on the back there is an 8 megapixel camera for photos and videos. The device also features Android 5.1.1 Lollipop and Samsung’s TouchWiz UX, Samsung have not revealed how much the device will cost when it launches. It looks like the new Galaxy J3 will be China only for now, there are no details on whether the handset is headed to other countries at the moment, as soon as we get some more information, we will let you guys know. You can find out more details about the new Galaxy J3 Android smartphone from Samsung at the link below.